SOE may be working on a new installment of the EverQuest series. It's not yet clear if it's PC or console bound (or both), and there aren't any details about it. But the last chapter on the 10th Anniversary EverQuest Book sort of gave it away. In "EverQuest Next", the very last chapter, the final statement reads the following: "So you can see there's a lot to wrestle with as we begin laying the foundation for EverQuest 'Next.' 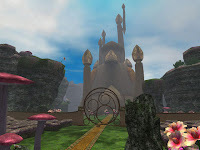 As I write this, we have concept artists and game designers working hard in our studio-taking the lessons of the past, the best parts of the present and the most promising ideas for the future-to bring the world of Norrath to a new generation of players, as well as the dedicated legions of fans who made the EverQuest franchise timeless. I hope we'll see you there." We'll see you there, indeed... in EverQuest III?